BRUNEI Darussalam’s passport is continuing its powerful journey allowing its holders to move across borders without having to undergo the ordeal of a cumbersome visa application process. Brunei holds the world’s 20th most powerful passport with a visa-free score of 134, according to the latest passport index devised by global financial advisory firm Arton Capital, which was revealed this week. A passport from a country in good global standing is a powerful thing, allowing citizens to travel across borders without having to face a nightmarish bureaucracy and red tape. Brunei passport is the third most powerful in Asean after Singapore and Malaysia. The index saw Germany take first place with a visa-free score of 157. The index, which was updated last week, saw Singapore and Sweden taking the second spot with a visa-free score of 156. Malaysian passport came in 5th place globally. 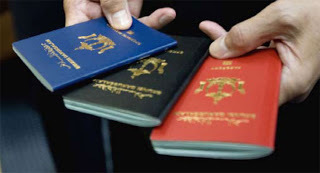 Singapore knocked off South Korea to become the highest-ranked Asian passport, Arton Capital said. Afghanistan sits right at the bottom of the index with a visa-free score (VFS) of only 23, Arton Capital said. To determine the individual rank of each passport, Arton Capital looked at three factors: the country’s visa-free score – which includes visa-free and visa on arrival; the visa-free portion of their score versus visa on arrival; and the United Nations Development Programme Human Development Index is used as a tie breaker. “The higher the VFS score, the better global mobility its passport bearer enjoys,” Arton Capital said. A total of 199 passports, consisting of the 193 United Nations member countries and six territories – Taiwan, Macau (SAR China), Hong Kong (SAR China), Kosovo, Palestinian Territory and the Vatican – are considered for the index. Territories annexed to other countries, such as Norfolk Island, the French Polynesia and British Virgin Islands who do not issue their own passports are not considered as destinations, the index said. Arton Capital, which updates the index every year, specialises in investor programmes for residence and citizenship. The index shows that “the power of passports transcends the holder’s identity, opportunity, mobility and overall quality of life. United by our diversity, the passport is one of the most important documents we possess”, Arton Capital said. In a similar ranking by the Henley & Partners Visa Restrictions Index released last year, Brunei Darussalam was ranked 23rd in travel freedom with visa-free access to 151 out of 218 countries and terri-tories. Germany topped in Henley & Partners’ 2016 index as well. In that Index, Brunei was also ranked third among Southeast Asian countries, behind Singapore and Malaysia that were placed fifth and 12th respectively in the overall ranking by the Henley & Partners’ Visa Restrictions Index. Brunei’s rank of 23 was a drop from 18th place in 2015 and 17th in 2014.